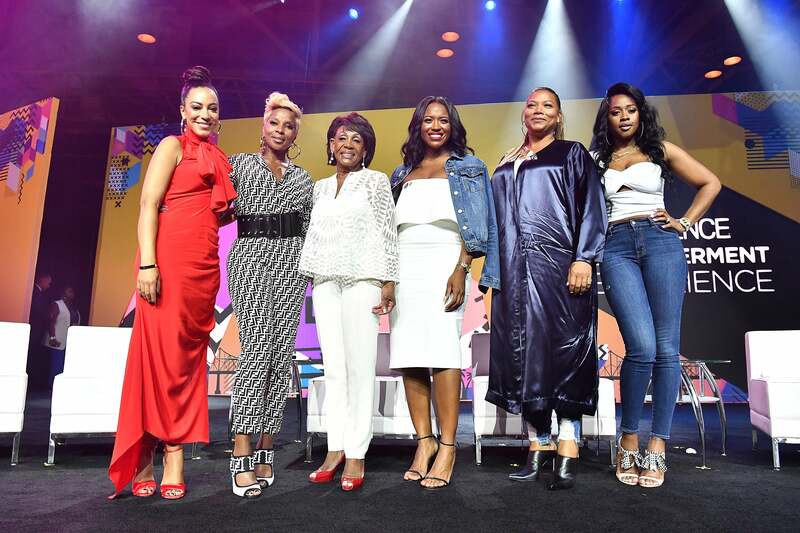 We all have those days when being a Black girl feels a little less than magical and some of our favorite ladies in music, politics and public service took a moment to remind us that we are not alone during the 2018 ESSENCE Festival’s daytime Conference & Expos. The energy of her affirming proclamation beamed from the Essence Festival Empowerment Experience Stage as onlookers were treated to an inspiring panel that included Blige, as well as Hip-Hop icon and mogul Queen Latifah, New York rap queen Remy Ma, Congresswoman Maxine Waters, and Planned Parenthood’s Director of Public Engagement, Alecia Johnson in a refreshing conversation moderated by prominent political commentator and activist, Angela Rye. FACT: We most definitely have a blast celebrating all things amazing about Black women during ESSENCE Festival weekend, but there's also plenty for guys to do and this year, there will be more than ever. So whether you're thinking of making it a guys trip or just surprising your significant other with a trip they'll never forget, fellas, come on down!! The panelists shined a spotlight on the impact of Black women supporting each other through partnership, motivation, providing opportunity, and having each other’s backs. With powerful moments of vulnerability, love overflowed as they shouted each other out for friendships and mentorships built over the years. She went on to reference the Essence Festival’s exclusive launch of Sister Love; her new jewelry line with long-time friend Simone I. Smith, who is married to LL Cool J. Blige said her admiration of Smith’s style and entrepreneurship inspired her to collaborate and create jewelry fit for all ages. Pivoting the conversation slightly, Queen Latifah shared her thoughts as a successful entertainer and businesswoman who has never been afraid to disrupt the status quo. During the panel, she highlighted the Queen Collective, her new initiative that aims to fill the void of women directors in TV & Film. When asked about the women who lift her up, Latifah shed tears as she remembered the legacy of her mother, who died earlier this year from heart complications. Waters responded by sharing her optimism for the future, thanks to the fiery spirit of young Black women who aren’t afraid to stand up for change. “Black women are leading the way all over the country,” she proudly noted. Keeping the conversation flowing, Remy Ma dished out more details on her pregnancy announcement, renewing her vows with Papoose on their 10th anniversary, and hinted that her upcoming album, 7 Winters and 6 Summers, is set to release later this year. She glowed as she discussed her journey of growth and how she believes in using her platform to make genuine and sustainable change, rather than searching for clout. 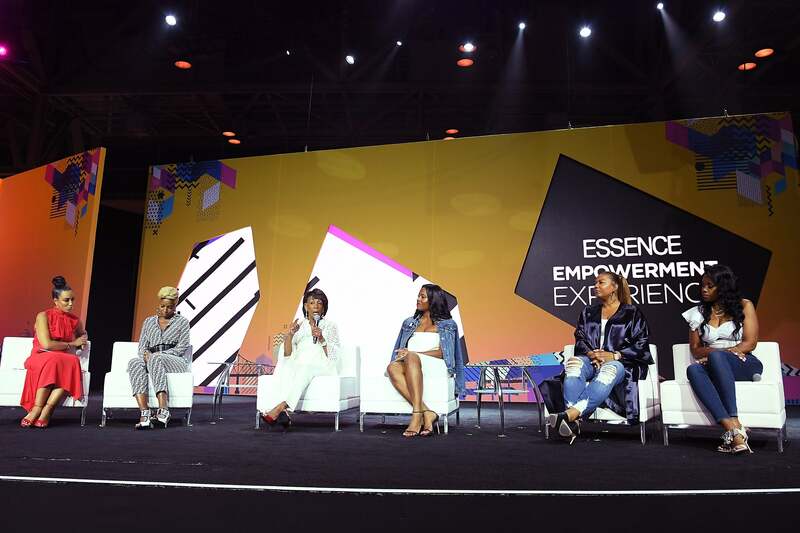 For more on everything you missed at the 2018 ESSENCE Festival, visit ESSENCE.com.